I kept my gym attendance a secret from nearly everyone for several months. 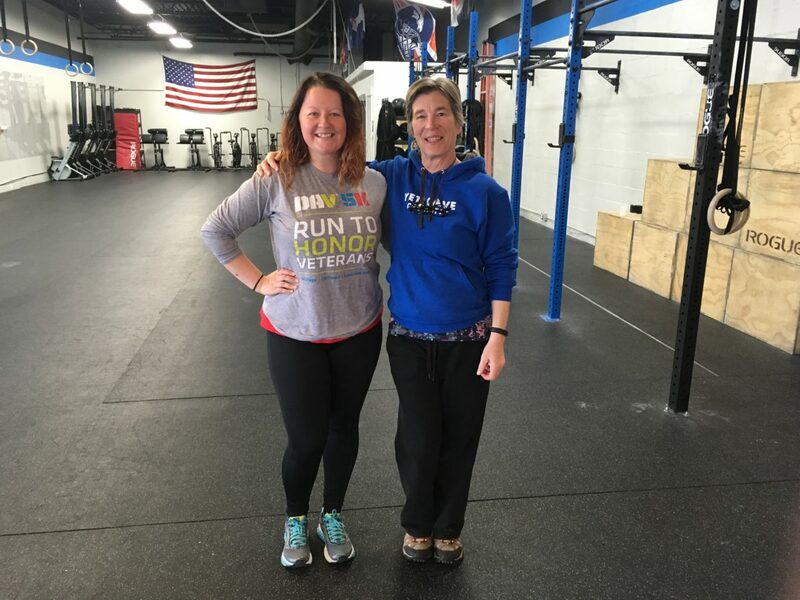 My goal was to surprise my mom during her first visit — at various times mom has been a bit of a gym rat herself, so I knew she’d be delighted. And more than a little shocked. 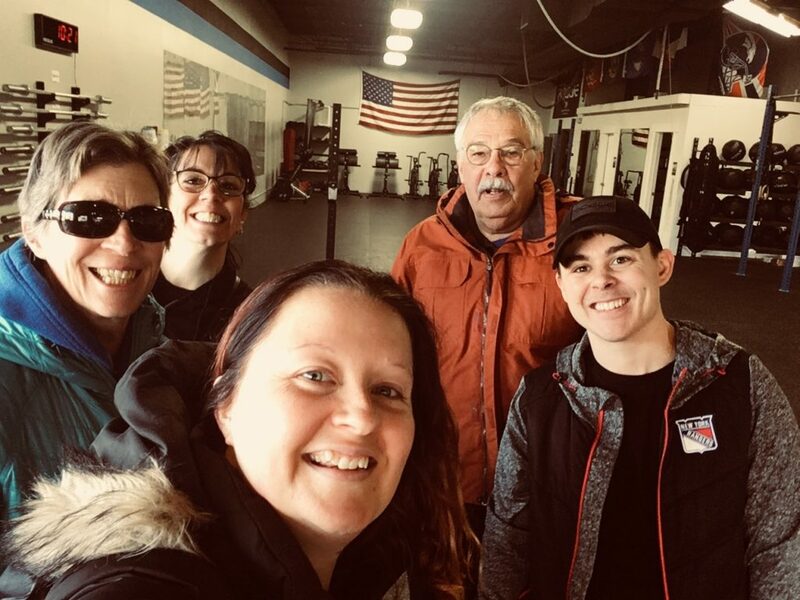 Mom’s visit has come and gone and I still haven’t talked about the gym on this blog because, let’s be completely frank: it’s a CrossFit gym, and that can come with some baggage. 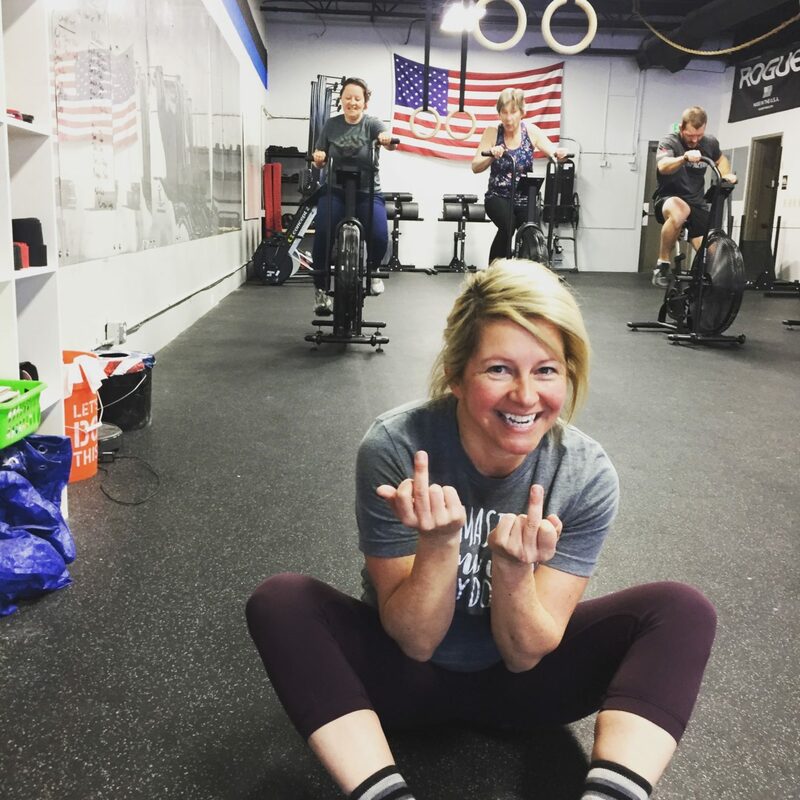 I have definitely given CrossFit a sidelong glance myself on more than one occasion. At the very least I did not think it was for someone like me, the fake-a-stomach-ache-to-skip-phys-ed type. But Yeti Cave has quickly become my happy place for other reasons. As someone who works from home, it stands in as my primary opportunity to… well, talk to people besides Dan. (And laugh with people. And dance with people.) It surrounds me with people who inspire me, and who encourage me without pushing too hard. No one has ever asked me to be anyone but myself. No one looks down on me for being, let’s say, not the most natural of athletes. 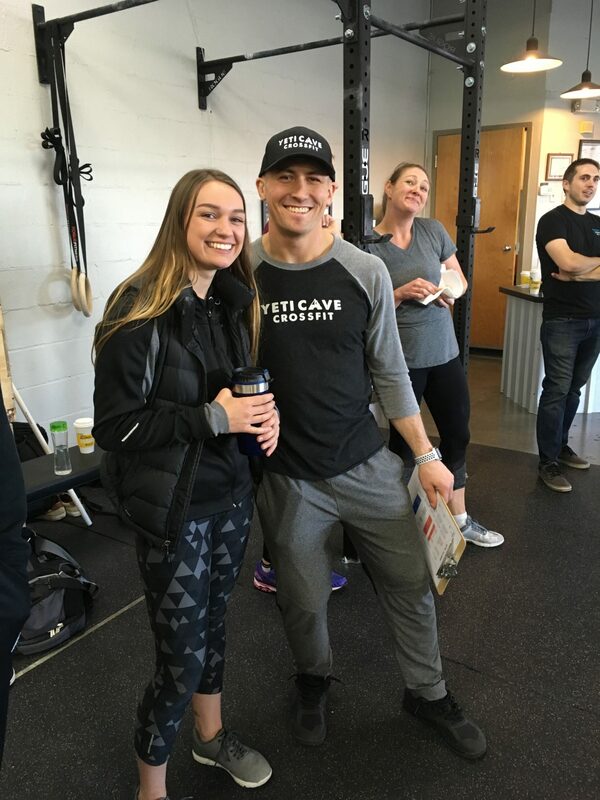 Yeti Cave acts as a playground where, under the guidance of Coach Nate (pictured below with his strong-as-hell girlfriend Valerie), I have a daily opportunity to try something. Anything. That sounds so simple, but I am realizing as I get older that I start to wall myself off from risk, from fear, from maybe. Not a great mindset for someone who considers herself an adventurer. So! One major omission corrected. 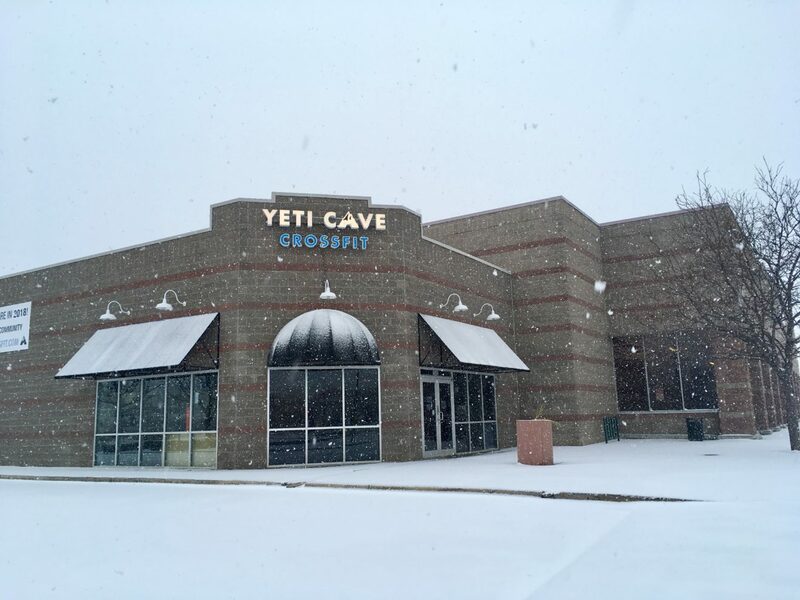 I try to paint a picture of our lives here, from mountains to restaurants to theaters… but you can find me at Yeti Cave CrossFit 4-6 days per week, so it absolutely deserves a mention here. P.S. 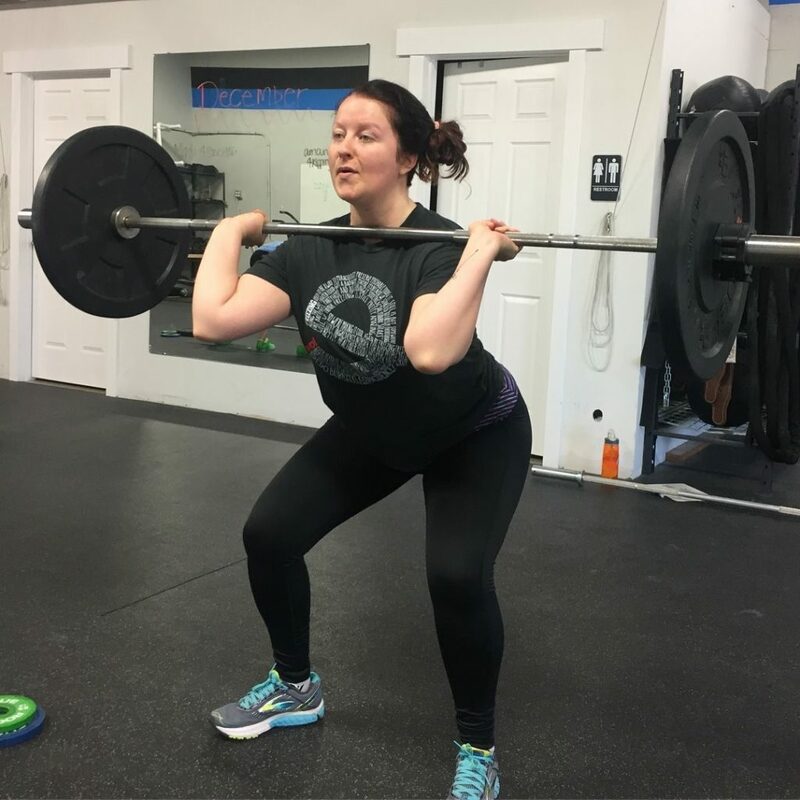 I have also written a very quick post for the Yeti Cave blog about my experience as a CrossFit newbie. If you’d like to read it, you can find it here. i love you so much for being open and honest. You are such an amazing woman. Don’t let anything stand in your way.